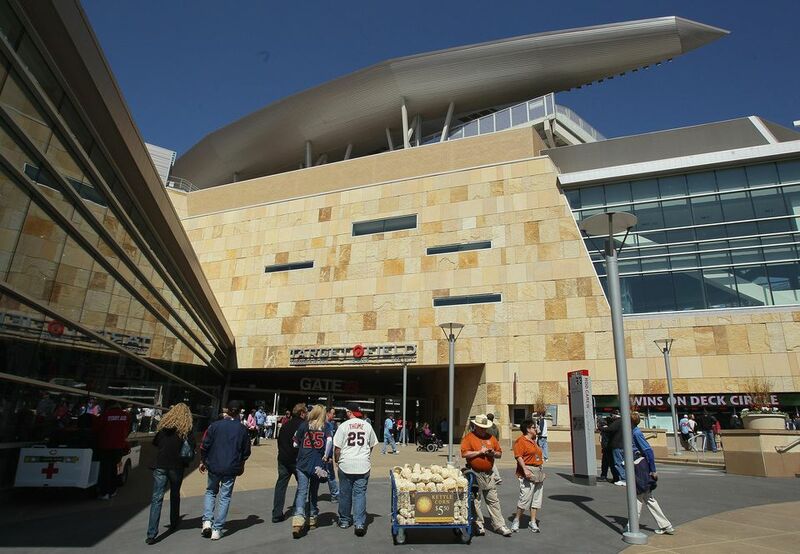 Are you driving to Minneapolis to catch a Minnesota Twins baseball game? Target Field, the team's stadium built in 2010, seats an intimate 40,000, but there are only about half as many parking spaces within a five-block radius of the ballpark. If you're driving, here are some tips for parking at Target Field. However, before heading out, don't forget to check the Minnesota Department of Transportation website for current roadway information. The City of Minneapolis' A, B and C and Hawthorne municipal parking ramps are the closest parking to Target Field. They have approximately 8,000 spaces among them. Several more municipal and private parking ramps are a short walk away. Many are connected most of the way to Target Field by the skyway system. Several surface parking lots are in the historic Warehouse District, with many along Washington and First avenues. These charge event rates for games. Parking meters have varying rates and time restrictions, which are posted at each space. Rates and time restrictions can vary based on the side of the street. Acceptable payment methods include credit cards and the MPLS parking app. Meters are free on holidays such as Memorial Day, Independence Day and Labor Day. If you are looking for free street parking for Target Field, you can find it, but expect to walk a mile or more to the ballpark. The neighborhoods to the west of the ballpark around Olson Memorial Highway have the closest free street parking but are also higher-crime neighborhoods. Alternatives are parking in the industrial neighborhoods between I-94 and the Mississippi River, but probably the best place to look for free street parking is on the other side of the river in the quieter St. Anthony West neighborhood of Northeast Minneapolis. Also, consider bringing a bike, park the car and then bike from your car to Target Field. There are plenty of bike racks close to the ballpark. The Target Field Station transportation hub has an underground parking garage. The hub is at 5th Street North and 5th Avenue North. The municipal A and B ramps connect directly to walkways and the skyway system. Accessible drop-off zones are on 7th Street near Gate 14 and the Majestic Twins Clubhouse Store. No parking is permitted in a drop-off zone. ADA alternatives to driving are the Blue or Green light rail lines that have accessible stops at Target Field. The Northstar Commuter Rail also has an accessible stop at the stadium. Several Metro Transit bus routes serve Target Field, too. What Are the Best Restaurants Near Target Field in Minneapolis? Looking for Coasters in Minnesota? Here Are the State's Parks.